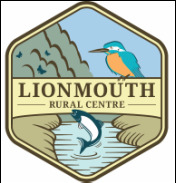 LionMouth Rural Centre is a non profit community organisation (CIC) which promotes wellbeing of the vulnerable in our community through the provision of practical and creative activities. LionMouth Rural Centre sits in seven acres of land bounded by the river Deerness to the South and the Deerness Valley Walkway to the North. The mixed woodland hides deer, otters, kingfishers and a wide variety of interesting wildlife. There are walkways through the woods, as well links to many established walking and cycling routes. We have an ancient meadow upon which our bees start their pollen collecting journeys, and a wild meadow down by the river which we can be used for events, camping, and outdoor workshops. On our top terraces we have a retro chic tea rooms which serves home-made food from produce sourced from local suppliers. The plant nursery sells hardy perennials, herbs and shrubs all propagated on site within our fully functioning horticultural unit. We have a large, well equipped Art room and a separate pottery unit. Our workshop is where old unwanted pieces of wood get upcycled into funky furniture, 'useful' things and art work. Many of our spaces can be hired for events, workshops, parties and meetings, which we can cater for on various levels. Although we are open to the public five days a week, are main priority is to support people with mild mental, physical or social difficulties by nurturing their well-being through creative activities such as horticulture, arts, nature, woodwork and cookery. We don't offer counselling, therapy or medical intervention (although our working environment does much of that), but awareness, acceptance and practical education. Volunteers are always welcome, although we do ask that be a participating volunteer that assists with the delivery of sessions. We can also offer a series of steps towards employability courses focusing on mainly improving confidence and social skills. Our staff are highly qualified in their fields, with years of practical experience of working with people with a wide range of needs and abilities to back it up with.